Around the nation, police and prosecutors are using lyrics from rap songs to incriminate suspects and obtain convictions, often in the absence of traditional forms of evidence. In this way, rap music, and by extension the artists behind it, face unique scrutiny in the criminal justice system. The vague protocols and laws that enable this practice are used almost exclusively against young black men, the individuals most likely to be creating rap music. Whether this is by design or coincidence, the mentality that enables the practice is racially tinged and troubling. In courtrooms, jurors are told by prosecutors, who sometimes misinterpret or manipulate rap lyrics, to view an artist's words as literal autobiography, rather than metaphorical or exaggerated storytelling. This works with disturbing effectiveness, critics say, because rap songs often contain lyrics that reinforce racial stereotypes about black males and hyper-sexuality or violence -- helpful when the prosecutor is trying to make the defendant out to be an actual criminal. But when did we decide that the content of a song is a direct reflection of the songwriter's character -- and that it's evidence of real-life actions undertaken by that person? When did we decide there's no clear distinction between the world an artist creates and the world he or she actually lives in? 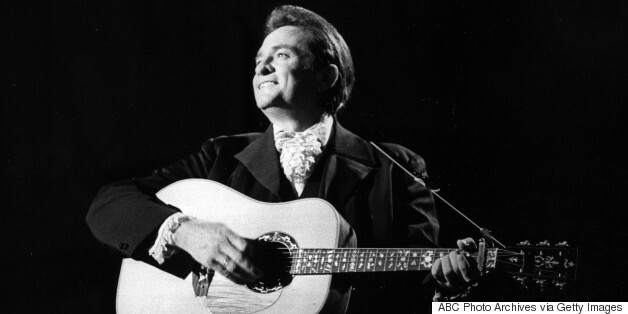 Would we ever have suspected Johnny Cash of actually being a cold-blooded killer? Erik Nielson, a professor at the University of Richmond who has studied the prosecution of rap lyrics extensively, told The Huffington Post that he's identified "hundreds of cases" in which rap lyrics have played a significant role. There have been reports of police and prosecutors being encouraged to examine rap songs for possible use in legal proceedings. And the strategy appears to yield results in court. If the criminal justice system treated other kinds of music the way it treats rap, all of the artists below would be seen as suspects. Their lyrics could be considered confessions, and might be cited as evidence of the artists' criminal psyches or proof of their personal connection to actual crimes. That would be completely ridiculous, of course. So why should rap music be any different? Third Eye Blind, "Slow Motion"
Guns N' Roses, "Used to Love Her"
Bob Marley, "I Shot the Sheriff"
Maroon 5, "Wake Up Call"
Macy Gray, "I've Committed Murder"
The Killers, "Jenny Was a Friend of Mine"